.5 hours to 4 hours before, mix water and salt and water in a shallow dish. Add Loins. Is water running over the edge? GET A BIGGER DISH! Preheat One Side of Grill to 500 and have a second zone that is indirect heat. Move to indirect heat, coat side with bbq, and then place face bbq side down. Generously brush some BBQ sauce on top side and flip. Allow to cook for 10 minutes – DURING this step you should start temping your meat often. at 135 Fahrenheit, you should remove. Cook until internal temp of 135. Do you want to be a backyard superhero? 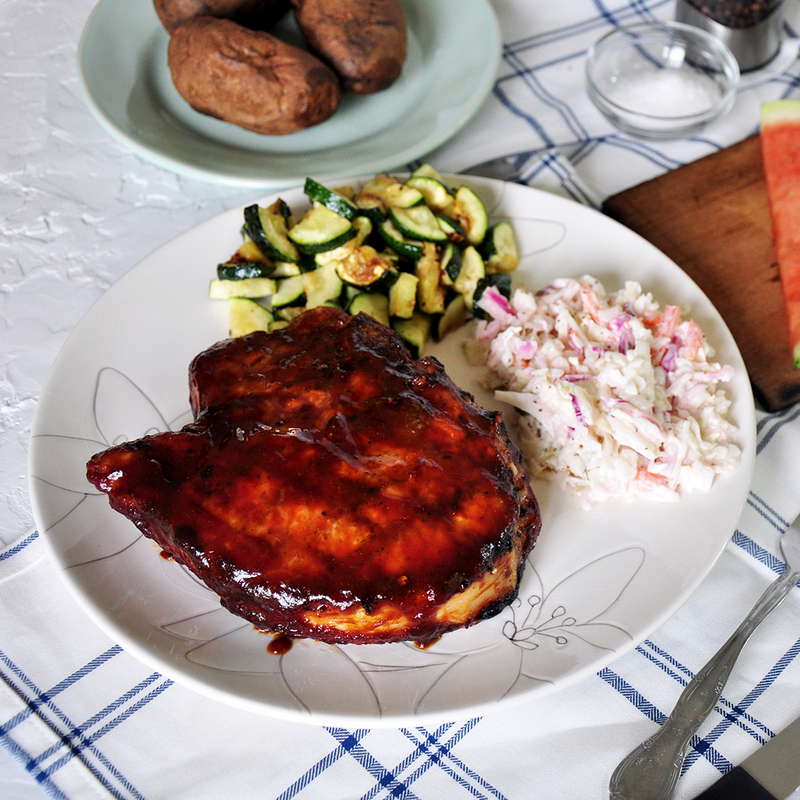 Well, learn how to grill pork chops like a boss! Grilling is seriously fun and making a great steak is one way to show off your grilling skills. The funny thing is that some of the most important things a person can do to grill great pork chops occur before your meat hits the grill. 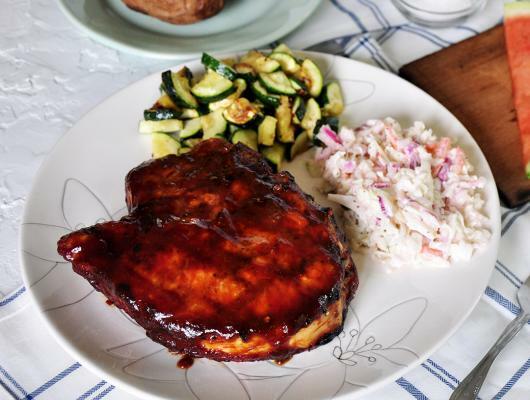 This recipe has you covered and you can get some tips for buying the best chops at Ramshackle Pantry, but this is a great grilled pork chops recipe.